Do you have kids who need to burn off some energy and keep entertained over the summer vacation and weekends and evenings after school? On this page I've selected a range of high quality sports equipment that it suitable for use in the backyard provided you have enough space. You'll find backyard sports ideas here for kids from around age 5 up through bigger kids, tweens and teens and even young adults who are home from college or visiting on vacation and need to burn off some energy. If you're the house that has all the cool sports gear in the backyard then older kids will congregate right where you can keep an eye on them. And you'll know they're keeping fit and healthy and learning useful skills. If you've got the space then a pair of soccer goals will keep kids entertained for hours in the backyard. The park near us has soccer goals set up and you can find tweens and teens there well into the evening. They adapt the game to any number of players. Because soccer is a non-contact sport it's a great way for kids to burn off lots of energy pretty safely. 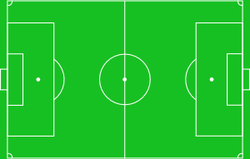 In a smaller space kids can have lots of fun with single soccer goal, taking turns in goal and practising their skills. 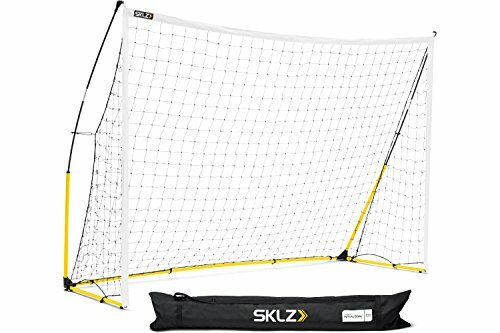 The SKLZ Kickster Goal gets good reviews. In our experience it's worth getting a better quality soccer goal, cheaply made ones are just frustrating. Volley ball is a great backyard game for two or more kids to play. It works well for mixed groups of boys and girls as it's a game they all enjoy. Volleyball is a game that anyone can have a go at, so visiting friends will be able to join in. But there's a lot of skill involved in playing volleyball well. Volleyball is lots of fun and great for fitness. Don't think you just stand on the spot and give the ball a tap occasionally! I used to play volleyball regularly and it's exhausting! Tip: It's worth teaching the kids how to serve a volleyball properly, it can bruise your hands if you do it badly. 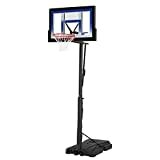 A good quality basketball hoop will keep kids entertained all year around. It's a good choice if you will have just one child to entertain some of the time as they can play on their own. You can scale up play with a basketball hoop to larger groups and even add a second hoop for a full game of basketball if you have a suitable play area. A basketball hoop is likely to get used year round, not just in the summer months. This basketball system is portable so you can move it to a different location if you need to. Just fill with water or sand to secure it. 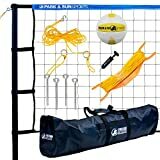 This is a high quality set with a 12 foot long a 3 foot high net. The net can be used on grass (of course!) or on a hard surface such as a driveway. The set includes two child-sized aluminum tennis racquets. The tennis net can easily be moved to one side while another game is played in the same area and then quickly moved back into place for a game of tennis. Do you have a Little League and Major League Baseball player in the house? The Personal Pitching Coach acts as a personal trainer so kids can improve their skills in the backyard. This pitching trainer has a built-in sonic radar that measures velocity. The strike zone is also monitored and stats are displayed on the LED display panel. The Personal Pitching Coach folds up for transport or storage. Kids will love coming to visit to try out their skills! The Inflatable Backyard Sports Arena. The Inflatable Backyard Sports Arena has to be one of the best ideas for keeping kids aged 5 to 12 entertained in the backyard. The sports arena inflates in just a couple of minutes and is ready for kids to play variants of four different games: volleyball, football, soccer, and basketball. The goals and nets are included and so are the inflatable balls for these games. The inflatable sports arena supports up to 200lbs of weight so can accommodate a few kids depending on their weight. This inflatable arena offers much better play value than a standard bounce house. Top pick inflatable water slides for the backyard. Great for keeping kids cool and entertained in summer. A selection of pirate-themed outdoor toys for kids who love pirates and want to spend the summer looking for treasure and sailing on the high seas. Did you like the backyard sports gear? Great information! I do believe that instead of spending time in gym playing few outdoors games can help you to have a fit body.